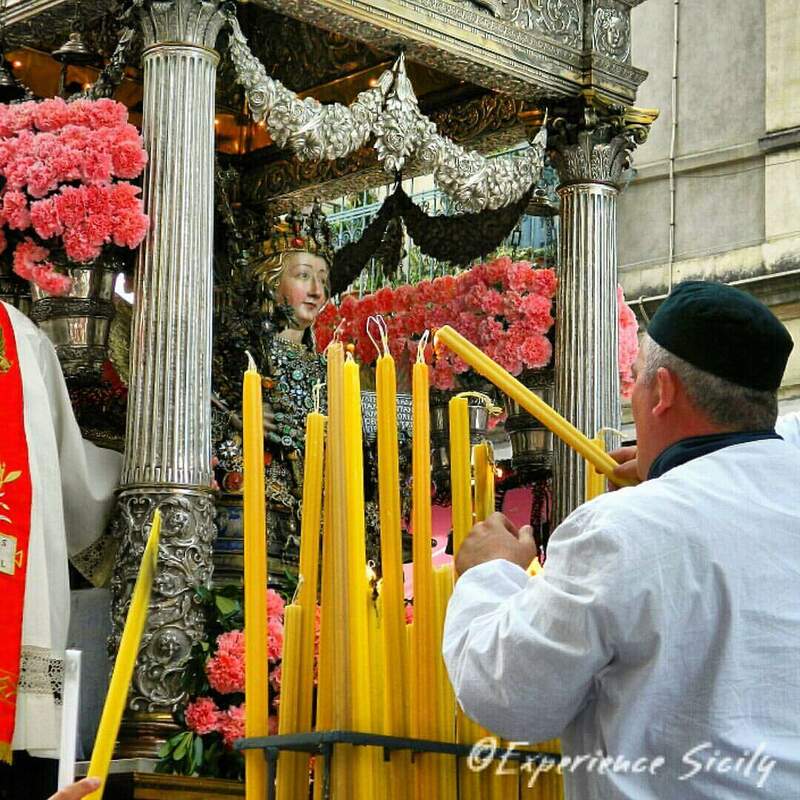 This morning we were back in Catania’s center to join the cittadini of the city in celebration of their beloved Sant’Agata. NB This isn’t an American parade! No barriers. No policemen on horseback. Just fellowship and trust amongst neighbors. We could walk right up to the carrozza and touch it and give the caretakers candles to light and ask for blessings for the year ahead. I chanted W Sant’Agata! (FYI, the W represents “Viva,” which essentially means “Long live Sant’Agata!”) to my new friends. This Feast, one that I’ve wanted to be a part of for years, proved to me that with faith and a true heart, dreams can come true. W Sant’Agata! It was amazing to be able to walk right up to the carriage and touch it and give our candles to the guys on it!